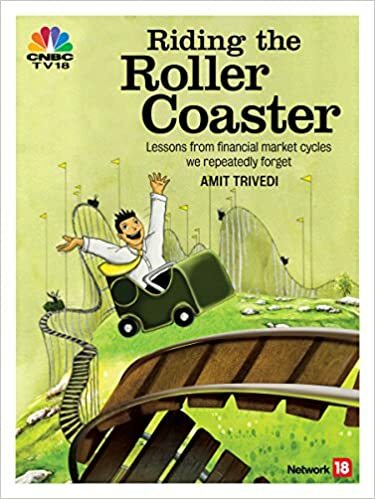 Another book I read recently is ‘Riding the Roller Coaster: Lessons from Financial Market Cycles We Repeatedly Forget’ authored by Amit Trivedi. As the name suggest it gives us various lessons on business cycles. The book is spread across the 5 centuries involving 4 continents. It covers the market hysteria, the trading bubble and the subprime mortgage crisis. The author has decoded the complex subject into simple language. The book has taught me that one should not predict the market. Secondly, knowledge is very important when you are investing in a particular product. If you do not understand the product refrain from investing in it. I would leave it for you to conclude, whichever way you want. The profession of forecasting has a great future. Forecast gone wrong – once again! Today P V Subramanyam posted on Facebook a comment on something he had posted last year. Shankar Sharma has called this a bear market..this means market has to drop 25% from here. So the sensex target should be 19000. Take care. posted this a year back..no clue where is Shankar Sharma…but the sensex is not at 19000 for sure…. This is another case of a forecast going wrong. Why do the forecasters keep trying? Why do people keep listening and believing in these forecasts? There are many small stories in the epic Mahabharata. In one such story, a beggar comes to the Pandavas asking for some help. They are in the midst of a discussion, and Yudhisthir, the elder brother, asks the person to come the next day. Hearing this, his younger sibling, Bheema reminds Yudhisthir of the audacity of assuming that he would be alive tomorrow. This story highlights the importance of understanding uncertainty associated with the future. Humans have always wanted to know the future. Astrologers and weather forecasters are among the most popular ones who make a living from this need. Someone who can see the future is called a “visionary”. This need to know the future is present in the world of business and finance, too. There are large numbers of analysts and forecasters, who make a living – in fact, many make a killing. However, the track record of such forecasts is not as impressive as one would like. One of the most common approaches to estimate future is extrapolation of the past. We have been taught to identify trends and extrapolate these into the future – sometimes into the infinite future. However, many things in life, especially the financial market returns, are cyclical and they do not move on the same trendily forever. This is where the fallacy of forecasting lies. Very often, we are able to correctly forecast so long as the trend continues. However, identifying the trend reversal ahead of time is almost an impossibility. That makes our prediction track record unreliable. We are right some time, and wrong at other times. Be careful of forecast based on extrapolations. When you look at predictions, please remember that even a broken clock shows correct time twice a day.